Trees/Ilanot. 3 poems by Lea Goldberg. 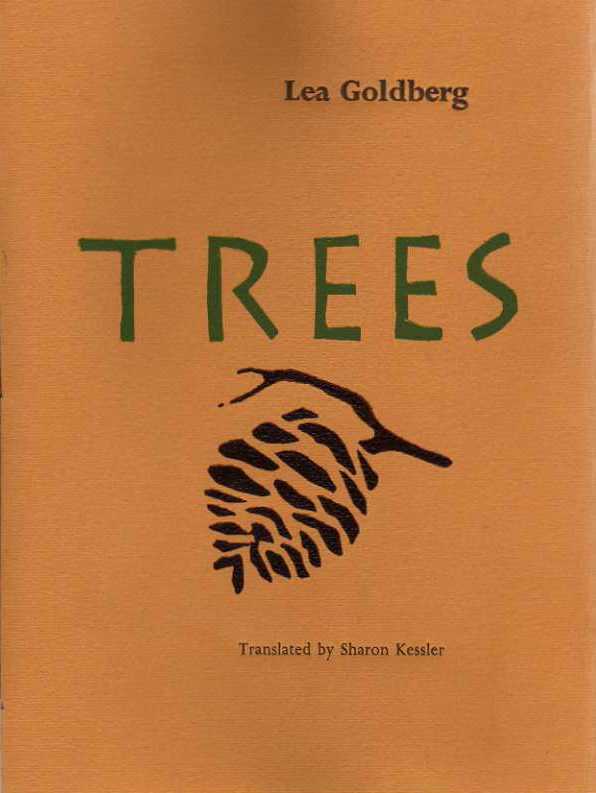 Translated by Sharon Kessler. Printed from handset metal type. The typeface is 14 pt. Perpetua from the Stephenson Blake Foundry, with titles in Goudy Thirty from M&H. Book designed by Sharon Kessler & illustrated by Noga Farchi. The paper is Rives lightweight with silkscreened covers of Fabriano Elle Erre or St. Armand Flax. 6 x 8.5 inches, pamphlet stitched. Fish-Eye Press, 2009. Click on the cover for an inside view. 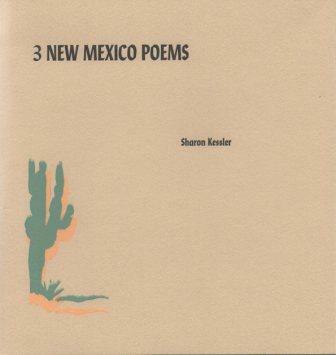 3 New Mexico Poems by Sharon Kessler. Printed from handset metal type. The typeface is Centaur. Cover typeface is Lydian. The paper is Rives lightweight with silkscreened covers of Fabriano Elle Erre or St. Armand Coffee Sisal. Book design by Sharon Kessler & cover design by Noga Farchi. 8 x 8.5 inches, pamphlet stitched. Fish-Eye Press, 2010. Click on the cover for other views. 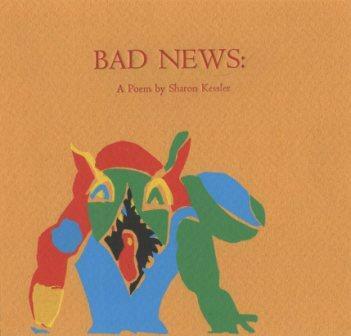 Bad News: A Poem by Sharon Kessler. Accordian book printed from handset metal type with artwork by Noga Farchi and cover art by Nahum Farchi. Fish-Eye Press, 2012. 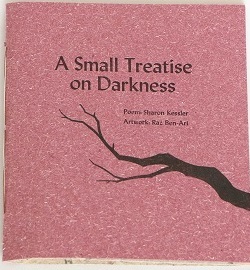 A Small Treatise on Darkness by Sharon Kessler. Illustrations by Raz Ben Ari. Printed from handset metal type, artwork from photopolymer plates. Text face: Perpetua. Cover face: Lydian. Text paper: Arches Cover. Cover paper: St. Armand's Currant Sisal. Handmade endpapers. 5.5 x 6.5 inches, pamphlet stitched. Fish-Eye Press, 2016. Click on the cover for other views.